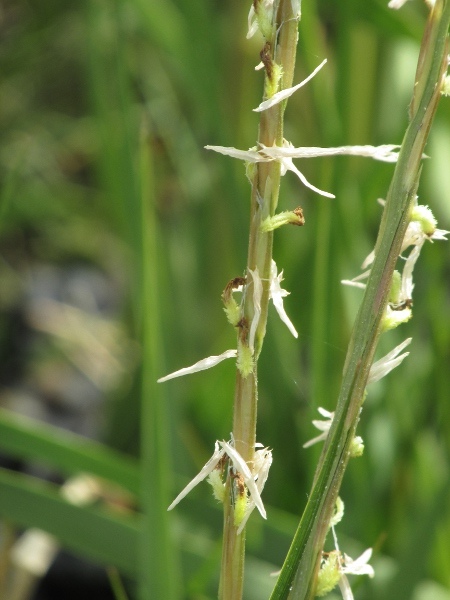 Spartina anglica C. E. Hubb. 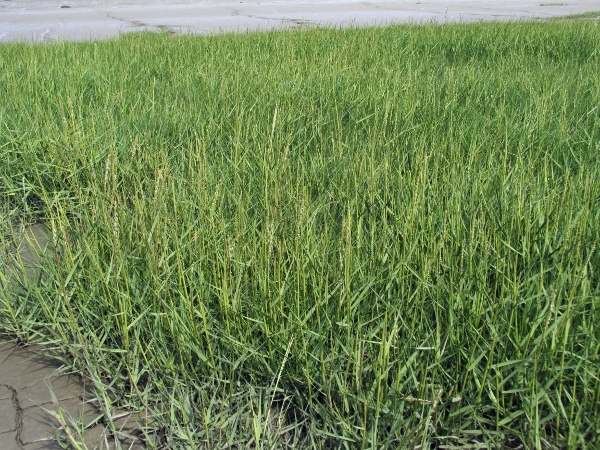 Spartina anglica is an allopolyploid derived in Victorian times in Hampshire from Spartina × townsendii, and can be a dominant component of saltmarsh vegetation. 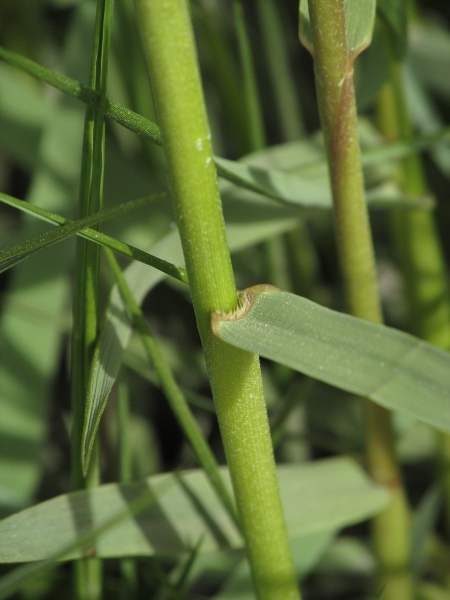 The ligule is a fringe of hairs.